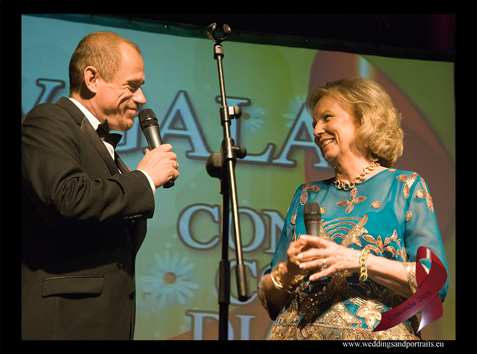 Concordia Summer Gala | Marbella Marbella – Adelante! 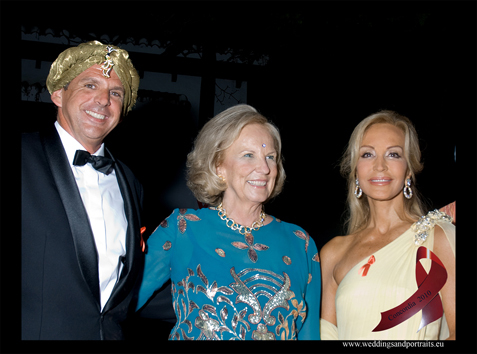 The annual Concordia Summer Gala took off again in splendid Bollywood style; held this year in the Marbella Club‘s fabulous Villa del Mar mansion and was attended by more than 300 people giving their support to this important Aids charity, each generously paying 300 euros a head. 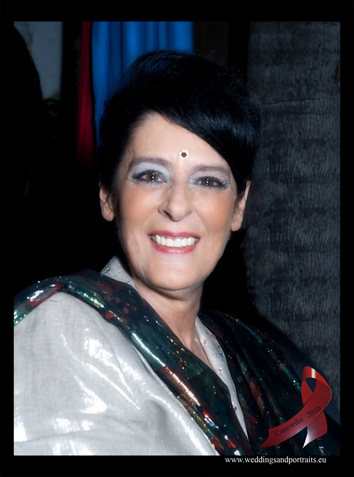 Many of the guests and celebrities were resplendently dressed in Indian style saris and exotic costumes, and the sense of incense wafted gently from the mansion along with Indian music that filled the warm evening air, giving the party a strong feeling of an authentic Indian gathering. 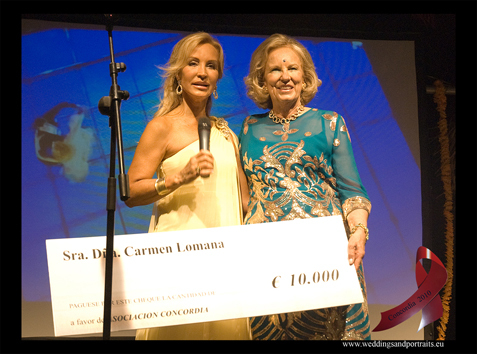 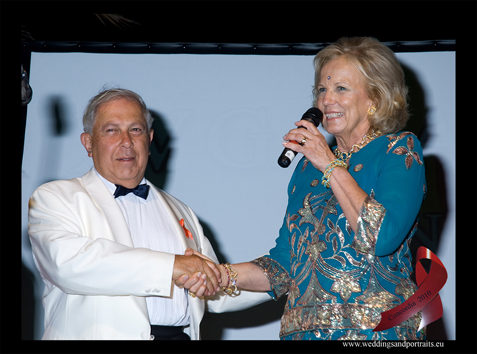 The gracious Princess Marie-Louise of Prussia, the Association President, made a well-received speech, and the celebrity Carmen Lomana presented her a cheque for 10,000 Euros for Concordia, which she had won on the TV show “Mas Che Baile” on behalf of Concordia and other monies were raised with the raffle during the evening. 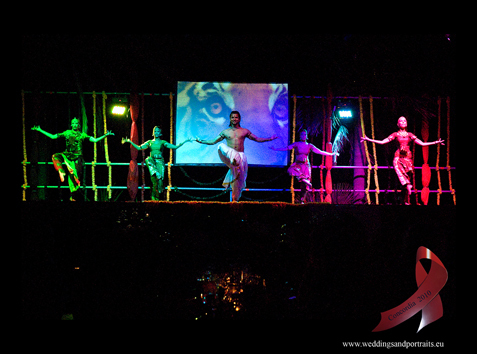 A spectacular show of Indian dancing was performed by a troup of talented dancers wearing colourful costumes, for the highly appreciative audience, followed later by the exciting regular dancing of the party-goers that made that it once again a memorable night. 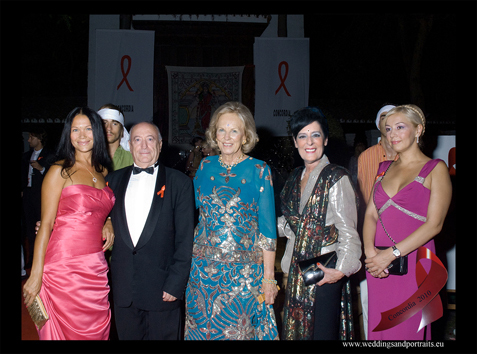 Three of Dario Poli’s campaign supporters artist Mugge Fischer and Cuban singer Yanela Brooks singer of the song “Marbella Marbella” and TV personality star Inge Rinkhoff, were also seen dancing the night away. 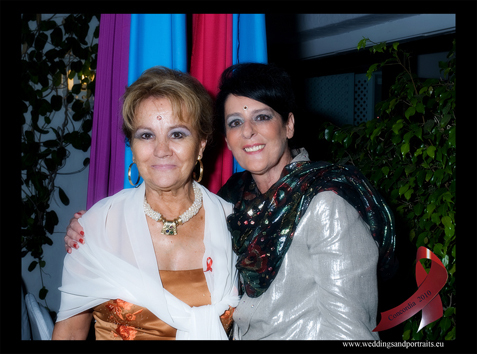 We thank the brilliant photographer Paul Wilcockson who was at the event, for his fine photos taken for the “Marbella Marbella” website, some of which can be seen here or on his website www.weddingsandportraits.eu.